The bathroom is one of the least safest rooms in your home. The mix of tiled or slippery floors, electricity and water make for a very unsafe environment for little kids, as well as bigger kids and even adults. Taking safety precautions before an accident occurs is the best method. 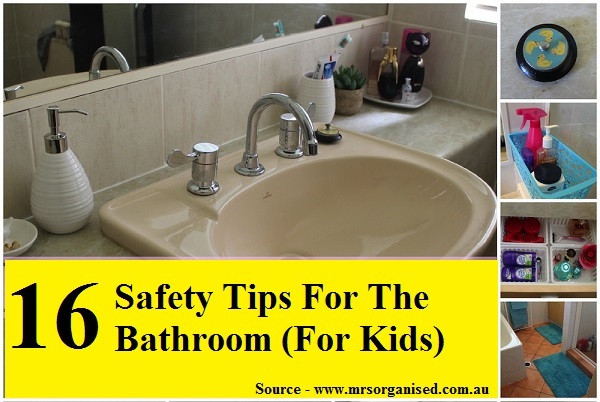 Thanks to mrsorganised.com.au for compiling this list of 16 wise tips for making your bathroom a safer place. Follow the link below for more details on safety proofing your bathroom.